Telephone Magic is a rare "EnGenius Elite Dealer", so you always know you are getting the best pricing and service when you purchase from us. 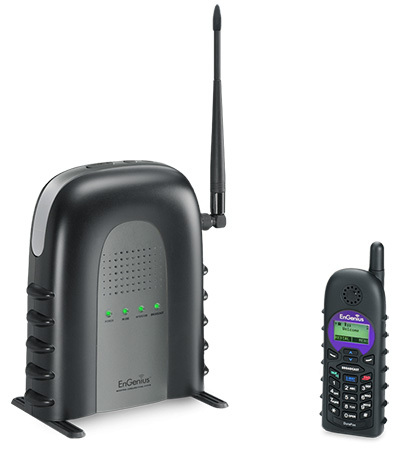 EnGenius' DuraFon-SIP long range cordless phone system delivers industry-leading range, durability and reliability. If your company requires reliable, long-range communications over large areas or in harsh environments and have an existing IP-PBX system or use hosted VoIP services, the DuraFon-SIP is your ideal choice. 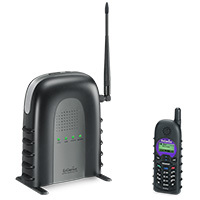 The DuraFon-SIP long range phones can reach areas where Wi-Fi and DECT can't access. 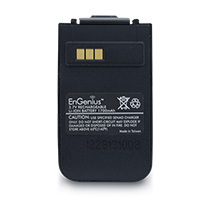 The base package for the EnGenius DuraFon-SIP consists of one (1) base station and one (1) rugged handset. The system supports up to 10 handsets per base station. More than 1 base station can be added to your IP-PBX to support additional handsets if required. The system supports up to four concurrent phone conversations, either four (4) SIP calls or three (3) SIP and one (1) PSTN call. Questions? Please see our EnGenius FAQ. Q: What is the default IP address, user name and password for the DuraFon-SIP System? A: The IP address is 192.168.1.156. Username and Password are both "admin" (no quotes). Q: Are there DuraFon-SIP bundles or packages? 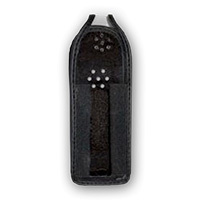 A: The DuraFon-SIP comes as a system with 1 handset and base. 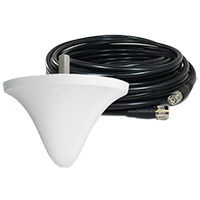 Additional handset kits and base stations can be purchased separately. Q: Are the DuraFon Pro handsets compatible with the DuraFon-SIP system? A: No, they are not. Similarly, a DuraFon-SIP handset will not work on a DuraFon Pro system. Q: Is the DuraFon-SIP a multi-base system? A: Not by design. Each DuraFon-SIP base station can support up to 10 handsets. Handsets registered to other DuraFon-SIP base stations can be called using internal PBX extension-to-extension calls, but the 2-Way Intercom and "Push-to-Talk" features do not work between handsets registered to different base units. You will also need to ensure that base stations will need to be at least 30 feet apart to avoid interference. 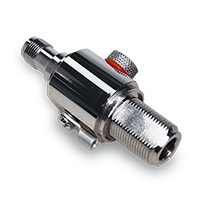 Q: Is a repeater base an available option for the DuraFon-SIP? A: No. 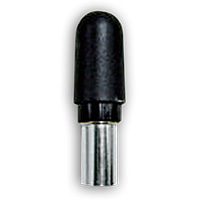 If you are looking to improve the coverage of the system, you should consider adding an external high gain antenna to your system. 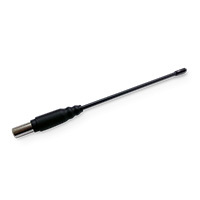 This antenna is also compatible with the FreeStyl system. Q: Does the DuraFon-SIP support TAP and text messaging? Q: Can a DuraFon-SIP handset receive a phone call during a 2-Way Intercom call conversation? A: No - thank you for asking! It is important to note that in a situation like this, there will NOT be a missed call notification. Because of this, SIP-to-SIP calling from one handset to the other is the preferred method. Q: Are there DuraWalkie handsets available to go along with the DuraFon-SIP system? A: No. 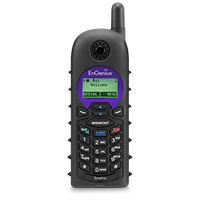 The DuraWalkie 1X is a 2-way radio only handset that works only with the DuraFon 1x system. Q: Is the DuraFon-SIP field firmware upgradable? A: The DuraFon-SIP Base Station can be, but the handsets cannot. Q: Does the DuraFon-SIP maintain a log file of call activity and history? Q: What is the maximum number of handsets that can be registered to the system? A: Each DuraFon-SIP Bast Station can accommodate 10 handsets. Q: From the Base Station GUI, can you monitor or see if calls are in progress? Q: What frequency does the DuraFon-SIP use? A: It uses the 900 MHz ISM band (902-98 MHz) with FHSS (Frequency Hopping Spread Spectrum) technology to ensure call security. Q: Will the DuraFon-SIP work with Wi-Fi? A: No. The DuraFon-SIP system is a 900 MHz phone system. 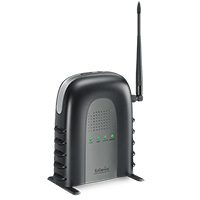 Wi-Fi devices use the 2.4 GHz or 5 GHz bands. They are not compatible technologies. Q: Why should I use the DuraFon-SIP instead of a standard DuraFon system? A: There are many advantages to using the DuraFon-SIP on your IP-PBX system. If you have any questions, please contact one of our sales representatives toll-free at 1-855-929-9199. Q: Will the DuraFon-SIP interfere with my Wi-Fi network? A: No. 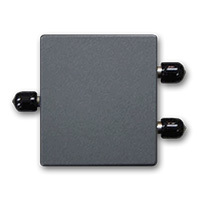 Wi-Fi uses the 2.4 GHz and 5 GHz frequency bands while the DuraFon-SIP uses 900MHz. However, as a best practice, it is always recommended not to locate the base station at least 3 feet away from other electronics. Q: How many simultaneous calls can you have on a handset? A: Two calls at one time. Q: Can a handset have more than on SIP account associated to it? A: No. Each handset ID has its own SIP account. However, using grouping, you can access more than one extension. Q: What VoIP codecs are supported by the DuraFon-SIP? Q: Does the DuraFon-SIP handset support line appearances? Q: What is the maximum SIP account password character length? Q: If two DuraFon-SIP handsets associated with different base stations are used behind the same PBX, can one handset call another? A: Yes. You can make calls via internal PBX extension-to-extension calling. However, 2-Way Intercom or Broadcast will not work to a handset registered to a different DuraFon-SIP base stateion. Q: What is the system's range? A: The DuraFon-SIP's range is up to 12 floors (in-building), 250,000 sq. ft. in warhouse settings and up to 3000 acres in open areas. Keep in mind there are many factors that can affect range positively or negatively. Q: Can the DuraFon-SIP handset conference calls? A: Yes, it can. You can have a maximum of 3 callers on a conference call. Q: What is the typical talk and standby time for the handset? A: Typical talk time is 4~5 hours with standby of up to 50 hours. Q: How do you ensure the handset automatically selects the SIP line when dialing out? A: The system will automatically choose the open line, either SIP or PSTN. Changing the outgoing settings (see the manual) will allow the user to choose the outbound port the handset chooses. Q: How many groups does the DuraFon-SIP support? A: Groups allow a handset to receive/make inbound calls from different SIP extensions (share). The DuraFon-SIP supports 7 groups. The handset can handle a maximum of two concurrent calls. 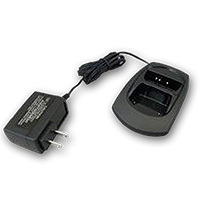 Q: Is the DuraFon-SIP Base Station PoE (Power over Ethernet) capable? Q: What is the handset password? A: The default password for the handset is "0000" (no quotes). Q: How do I find out the IP address of the DuraFon-SIP Base Station. A: You can find out from any registered handset. Press "Menu ####*", then scroll up or down to BS HW/SW Version and press "select". Now scroll up or down until you get to the IP address screen. Q: Do you have any additional questions about the DuraFon-SIP system? If you do, please contact one of our sales representatives toll-free at 1-855-929-9199 and they will be happy to help you find the answer to your question.